Del Mar is considered to be one of the most expensive beach towns in all of San Diego County. This quaint beach town is located just north of La Jolla and south of Solana Beach and considered one of the most desirable places to live by the beach in the greater San Diego area. It's not unusual for real estate in Del Mar to be nearly double the price other San Diego beach towns found in the Carlsbad and Oceanside area. The city has several different communities located by the beach as the downtown area is filled with great restaurants, shopping and world class hotels that line Camino Del Mar, the main street through the heart of Del Mar. Homes in this surrounding downtown area will command a huge premium in price due to the close proximity to the beach. There is a nice mixture of residential condos and single family homes that are located on the ocean front and within a several block radius to the beach. This is often called the Old Del Mar area filled with homes that date back to the early 1920's. Del Mar 1927 Balboa Ave. Beyond the downtown area are several luxury communities located on the east side of the 5 freeway. Gated communities like Fairbanks Polo Club, Las Vistas and Polo Estates are great examples of luxury communities located on the outskirts of the city. Of course, the biggest draw to the Del Mar area is the Fairgrounds area. Here is an annual tradition of horse racing the draws hundreds of visitors to the Del Mar area. Real Estate in Del Mar can be very expensive if you want to live in the heart of the city. There are several great communities that provide excellent value for you money are are featured on our communities pages to the right. Interested in Del Mar Real Estate for sale? For a complete list of Del Mar homes for sale please visit our Del Mar MLS search. All Del Mar homes and Del Mar condos for sale are also listed below in the various Del Mar neighborhoods. Questions regarding any of these communities or the homes for sale? Please contact us at 1-888-990-7111 today! "An Olde Del Mar ocean view home in Del Mar, California has just been sold by Kimberly Kramer of Beach Cities who represented the buyers. 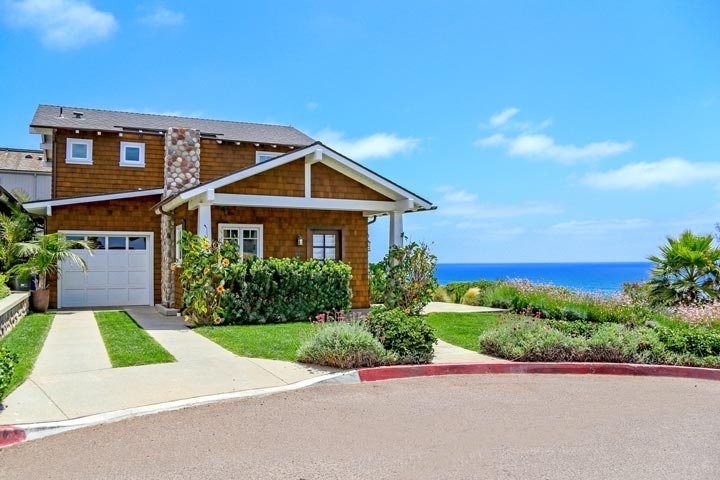 nbsp;429 Carolina Road, Del Mar sold for $5,000,000 and clos... "
"A Cabo Santa Fe home in Del Mar, California has just been sold by Beach Cities Real Estate agent Dan Benjamin who represented the buyer. nbsp;3335 Caminito Cabo Viejo, Del Mar sold for $1,085,000 a... "
"A Del Mar Heights home in Del Mar, California has just been listed for lease by Beach Cities Real Estate agent Dan Benjamin.nbsp; The property located at 2486 Mango Way, Del Mar is available for le... "